Dubarry's Claremorris Polo Shirt is a luxurious, striped polo shirt with crease resistant qualities making it the perfect summer travel garment. 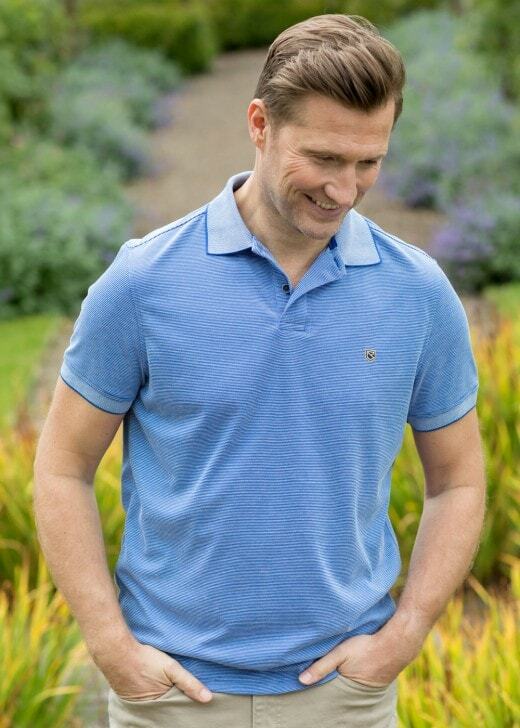 Dubarry's Claremorris Polo Shirt is a luxurious, striped polo shirt with crease resistant qualities making it the perfect summer travel garment. The moisture wicking material and excellent quality 187g/m² lightweight fabric ensures you are cool and comfortable in the warmer weather - this shirt is the perfect addition to your summer wardrobe.